So, I was gifted this amazing bottle of magical adult-beverage tastiness. And I enjoyed that one so much, I went and got another bottle–but I wanted to make this one special, since the person who’d gifted me the firt bottle was coming over for a small backyard playdate with the kids. And, man, I went off the deep end of special. Dudes…Rosé Unicorn Popsicles…so awesomely magical I just can’t even. 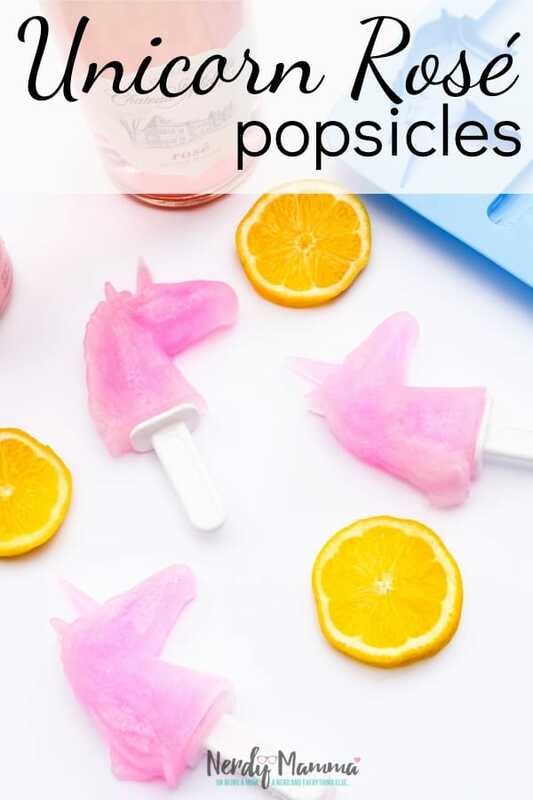 I guess it’s fine if you want to make Rosé Unicorn Popsicles in a less-magical way and just use a regular popsicle mold. But if you’re set on making them just like I did, you’ll need the unicorn mold here. I just really enjoyed these adult-treat Rosé Unicorn Popsicles so much, I think I need to make more for myself and just keep them in the freezer for any time I feel like having a lolly. Sounds like the perfect summer recipe for me. 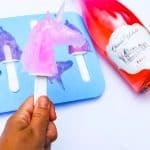 A special friend, a special bottle of adult beverage, and a unicorn popsicle mold--this is recipe for Rosé Unicorn Popsicles is so easy, but so awesome. You seriously need these for your next adult backyard fest. Seriously. 1 Can La Croix ~ Cran Raspberry pairs the best! Lay your Unicorn Popsicle Mold out. I suggest placing it on a baking sheet so you can easily move the mold to the freezer later with zero spills. Now take your Rosé and fill each Unicorn half way. Next, take your La Croix and fill your Unicorns up. The La Croix is the magic ingredient that will make the Rosé freeze. So do not skimp on the La Croix! Once your Unicorn Mold is filled up, place the mold in the freezer for 4 hours. After your Unicorn Rosé Popsicles are frozen, take them out of the freezer. 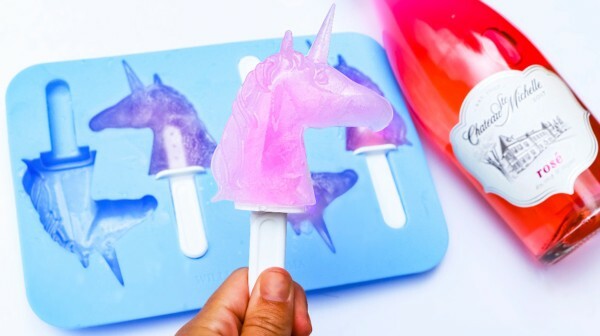 Pop your Unicorn Rosé Popsicles out of the mold.